I’m bad at writing Ex3 Martial Arts but I did it anyway. For those who want a stormy, elegant and occult martial arts style that profits the most from the use of heavy weapons but can also be used with medium and light weapons. Feedback is very welcome. The Worldwind Dancer Style combines the slow, very carefully executed movements of a ceremonial dance to manipulate the essence flow of the air with the waywardness of creation’s unbound winds and storms. Pupils of this style learn to manipulate the air around them with their own movements and breathing. Regular pupils without the skill to manipulate essence realize this through special breathing practices that are very similar to those the pupils of the Silver Voiced Nightingale Style practice. But instead of concentrating on their voice, their focus lies on the process of breathing in and out. A mortal master of this style can -just through breathing out- create a burst of wind that has at least comparable power to the regular punch of a master. Those pupils capable of using essence can unlock the secrets of this art: To use the elegant moves of a dance to control and summon mighty winds that make the dancer as mobile and as dangerous as the most deadly storms creation has ever seen. All practitioners of this style are always moving. At times slow and calm, other times like a hurricane or tornado, but never stopping they are carried across the battlefield. They often use very wide and sweeping moves which the winds follow to push around the dancer as well as their enemies. Note: I wanted this style to win through mobility. Hit’n Run’n Push. To use this style the martial artist needs to not only understand her body as well as every other martial artist but also needs to have a profound understanding of the aesthetics and how the harmony in the movements manipulates the always moving essence flows in the air around her. This means a pupil of this style needs at least 3 points in Performance to learn the basics of the style. And additionally 3 points in Occult when she intends to learn the secrets that lie in the essence of the Worldwind Dance Style. Form Weapons: World Wind Dancers need to manipulate huge masses of air. This requirement makes the practice of the style a bit complicated and thus a few different ways to practice this style were created. In most cases the choice of weapon indicates the mastery the Dancer has acquired. Most regular pupils practice this style barehanded or with War Fans, using large and sweeping movements in form of elongated strikes and sweeping kicks. Most of the more skilled pupils use long staffs or a pair of medium sized swords. 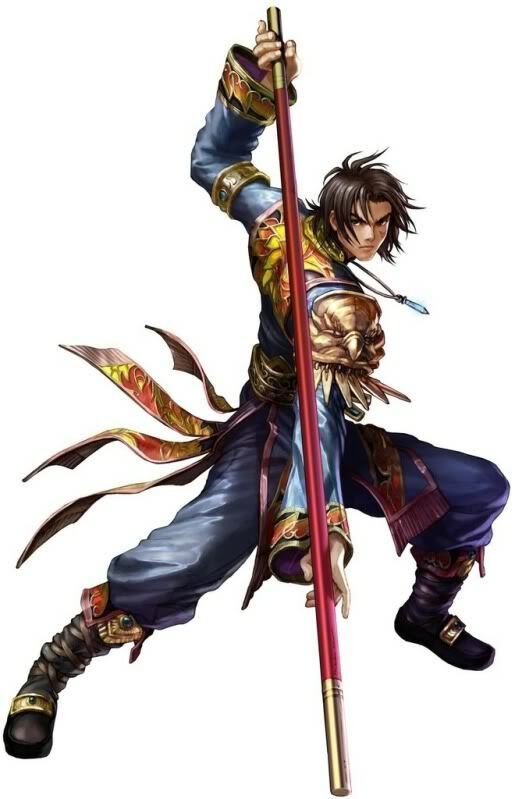 Many masters as well as most pupils capable of using essence use heavy, two handed spears or enhanced staffs. Every weapon user tends to make the weapon she uses her own through distinctive runes, carvings or other decorations representing the kind of dance she wants to perform. Armor Restrictions: Worldwind Dancer are not capable to dance to their fullest when wearing any kind of armor. They tend to wear flashy and flowing clothes that express the underlying desire of their dance. Silken Armor is as always an exception to the rule. Special Rule 1: Every attack enhanced or created with charms from this style explicitly counts as a “Kiai-Attack” in favor of the Silver Voiced Nightingale Style. Special Rule 2: Every charm of this style that pushes or moves enemies or allies does not cause Falling Damage in itself if not otherwise stated. Landing on or in a harmful environment may change this at the storyteller’s discretion. Gentle winds are born out of the Dancer’s breath. They swirl around her weapon and lift it upon the air making it possible for the Dancer to not only use it as part of her performance regardless of weight but also using the size of her weapon of choice to manipulate bigger masses of air. This Charm permanently upgrades the Dancers ability to use medium and heavy sized weapons. She can imbue them with occult winds to handle them like they have almost no weight, creating an illusion of superior strength regardless of the Dancer’s build. In combat she may reflexively spent 1, 2 or 3 motes to enhance a withering attack, depending on her occult rating and her weapon of choice. At Occult 3 she can pay one 1m to enhance a light weapon attack, granting it the Smashing Tag. At Occult 4 she can pay 2m to enhance a medium weapon attack, granting the Smashing Tag and waiving the Initiative costs. At Occult 5 she can enhance a heavy weapon attack, granting it the Smashing Tag, waiving the Initiative costs and removing the Defense penalty. Mastery: Enhanced attacks with heavy weapons also profit from an 1 accuracy booster at Occult 5 . Only children chase after the wind without knowing that they will never catch him. This Charm can be activated when the Dancer is targeted by an attack from Close Range. Before the attack is rolled the Dancer may make a (Dexterity Performance) roll, deducting any successes on the roll from the enemies attack pool. On a successful defense the Dancer may move 1 Range Band to Short Range to her attacker. Mastery: If the dancer is attacked again in the same tick this Charm was used to successfully defend against an attack, the Dancer may increase her Evasion by 1. The Dancer is fast, but far less so than her enemies perceive her to be. Her movement and the dance of the winds ensnare not only their body but also their perception. This charm supplements an attack after the Dancer moved into Close Range with the target of the attack in the same round the attack is declared. The Dancer may re-roll up to (Occult) non-successes on the attack roll. If the attack does more damage than the enemies defense value the dancer move one range band away from the enemy, just as if she has been hit by a smashing attack. The Worldwind Dancer dances with the winds and the winds with her. She breathes and gives birth to them with her breath. Her movements guide them and blow them away. Her strikes send them on their ways and break them like a tower of strength. At the start of every round after activating this Charm the Dancer is granted one additional, reflexive Movement Action. This movement can be a Rush as well as a Disengage Action. This does not use up the regular combat and movement action. This additional movement can only be activated reflexively while the Dancer is not the immediate target of an attack. Additionally she is empowered through her own movement and the winds she creates. As soon as she moves the first time in a round the wind starts to dance around her and amplifies her every move. This status is called “stormy”. While being “stormy” the Dancer knows to manipulate the winds of the world through understanding of the harmony in her movements. Thus she gains (Occult) dice of extra Pre-Soak damage on her Withering Attacks. This “stormy” status lasts till her action in the next round. If she does not move in the next round this status ends. Special Activation Rule: The Dancer may enter this form reflexively when she furthers the distance between her and an enemy by at least 2 Range Bands in one turn. Terrestrial: The Dancer gains (Occult) but maximal (Essence) dice of Pre-Soak damage. Mastery: While “stormy” the Dancer enjoys (Performance/2) round down additional dice for every Rush or Disengage Action. The dancer breathes and lets the wind flow directly over her skin, creating an invisible armor that catches her clothes like a storm. It can prevent or completely negate strikes against her. This Charm can be activated after the Dancer got hit, but before damage is rolled. The Dancer can spent up to (Performance*2) motes on this Charm. Every 2 motes spent negate one success on the damage roll. Terrestrial: The Dancer can only spent up to (Performance) motes on this Charm. Mastery: If the damage is reduced to 0 through this effect, the Dancer may spent an additional 2m to attempt a reflexive Disengage Action without cost. The Dancer spent countless days and nights amidst the harshest storms and let herself be carried wherever the winds went. She recreated this feeling within herself and her dance and thus was able to become the storm itself. To be the storm, she suddenly stops her movement and guides her essence to the tip of her weapon. At contact the concentrated power explodes and creates a shockwave that can get a hold of the opponent, as well as herself. The Dancer reduces the targets Hardness by (Occult) points. If the attack hits the enemy is pushed a whole Range Band in the direction of the attack, as per smashing attack. Additionally the Dancer can use a special technique called “3 Steps of the Windcatcher” if she is “stormy”. She can push the opponent an additional Range Band up to Medium Range. Terrestrial: Using 3 Steps Of The Windcatcher ends the “stormy” status. Mastery: The push to Medium Range also makes the target prone. The Dancer chased the winds of the storm countless times and lost. Only as she understood the being of the wind, she only needed one step to get ahead of the storm. Within his performance the Dancer does 5 precise and incredible fast steps, a prelude for what is to come. She slows down for her next move – a simple but incredible sophisticated step – that carries her over inhuman distances within only one moment. While she moves every kind of resistance becomes part of her grand performance and only strengthens the essence she gathers through moving. At the end of the step she pauses again. A moment that lasts almost an eternity for herself and her opponent. Then the storm catches up to her, flows with her form to the point of her weapon. She then starts to move with the storm again and lets her empowered strike crash into her enemy. This Charm can only be activated if there is no enemy within Close Range of the Dancer and she is “stormy”. The target must be within Short to Long Range of the Dancer and she needs to not have used her movement this turn. The way to the target may not be blocked through any impassable blockade and she needs to see her target. After activating this Charm the Dancer moves instantly to her target in a straight line. This counts as her Movement. She rolls a single Withering Attack against every enemy that she passed while moving to her target. Every enemy whose Defense got beat suffers the Dancer’s (Essence) points of Initiative damage that is not rewarded to the Dancer. A crashed enemy still rewards Initiative as normal. At her target the Dancer gains 1 bonus dice to her attack roll for every Range Band moved and every hit enemy on the way. Every point of Size a hit Battlegroup possesses counts as one enemy. Special Activation Rule: Every time an enemy is moved 2 or more Range Bands to at least Medium Range to the Dancer she can activate this charm reflexively. This costs additional 2m and 1wp. This technique is also known as “Hunting Will Of The Winds”. This Charm causes the “stormy” status to fade. Terrestrial: Hunting Will Of The Winds can only be used once per scene. Mastery: The Dancer can also use this Charm to flee out of Close Range from a single enemy. This opponent also counts as a target for the initial Withering attack. This advanced technique turns the Dance into the eye of the storm. For a moment everything is still around her before a tremendous wind erupts from her breath, catching everything around her and carrying away in the distance. This Charm is a special Withering attack without damage against every creature in Close and Short Range to the Dancer. For everyone in Close Range this attack is unblockable. For everyone in Short Range this is a normal Withering attack. The Dancer only rolls once. Everyone that got hit in Close Range gets pushed away 2 Range Bands to Medium Range of the Dancer and everyone in Short Range that got hit is carried one Range Band back also to Medium Range of the Dancer. The Dancer can stunt where everybody comes down. This may cause additional damage. This technique causes the Dancer to be “stormy”. If she was already “stormy” before using this Charm everyone that got hit with the attack suffers (Performance/2) rounded up Initiative damage that is not rewarded to the Dancer. Crashing an enemy still rewards 5 Initiative as usual. This Charm can only be used once per scene, but is reset after successfully fleeing out of Close Range with a non-trivial Enemy three times. Terrestrial: Once per scene. No reset. Mastery: The Dancer can chose to be gentle to his allies. They don’t suffer any damage through the effects of this charm and don’t lose Initiative. The Dancer breathes out and forms spirals out of sharp wind along her body and weapons. These empowered winds tear away at the enemies body, equipment and mind. This Charm creates a difficulty 4 gambit. On a success it destroys any armor the target is wearing, removing any bonuses the target would get. Magical armor such as artifacts or spell effects do not end or get destroyed, but for the rest of the Scene their bonuses are reduced by the Dancers (Occult). Mastery: If the character is “stormy” the rupturing powers of the winds are also extended to the mind and body of the target. For (Dancer’s Essence) rounds the dice pool of every action the target attempts is reduced by (Occult/2) round down dice. The Dancer does not dance with the storm, she becomes the storm that shakes the world. Where she stands a tremendous whirlwind is created that pulls in everything that is near. This Charm creates a special environmental hazard that reaches out to short range with the dancer’s position as the center. The Dancer herself vanishes into the storm until her next round and is only targetable by effects that could actually hit and damage an raging storm. Resisting this hazard is a difficulty 5 roll with (Strength Resistance or Athletics). Everyone that failed the roll is pulled from the ground into the storm and is carried to Short Range above ground, directly above the Dancer. The storm lasts throughout the round this charm was activated and attempts to pull in anyone that tries to enter it’s range. Once caught it is extremely difficult to escape the fangs of the Storm. Those caught in the storm act with -3 on every action and can’t use any mundane range attacks since they are caught up in the storm and can’t move. Everyone within is considered to be in Close Range to each other. To escape after being caught is a combat action that can’t be placed in a flurry with a difficulty of 5 and a cost of 4 Initiative. On a successful escape they drop out of the storm and crash into the ground suffering normal Short Range Falling Damage. If crashed through the attempt the Dancer gets the normal bonus. In the next round on the Dancer’s action everyone caught in the storm is carried one range band further into the air, now medium range to the ground. Then the storm vanishes just as suddenly as it was summoned, hurling everyone in a circle in Medium Range around the Dancer. They suffer normal Medium Range Falling Damage. The Dancer may activate Enlightened Step Of The Stormhunter as a reaction to this, as she appears at the position she activated the Charm. This takes up her action for the round. Terrestrial: The storm only carries those caught to Short Range above ground. They only suffer Short Range Falling Damage. Mastery: Once again the Dancer can chose to be gentle. Allies don’t suffer any Falling Damage and don’t have any penalties within the storm.